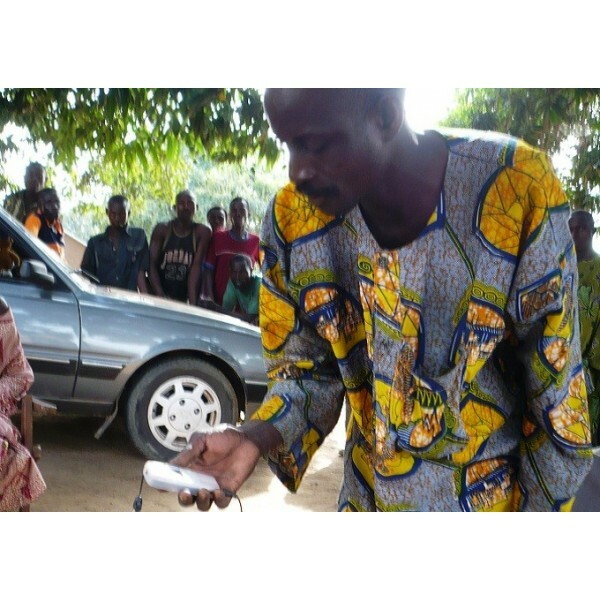 This solar kit allows to charge 1 or 2 mobile phones simultaneously in a few hours of sun. Very simple to use, it contains 10 different jacks corresponding to the most common telephones. 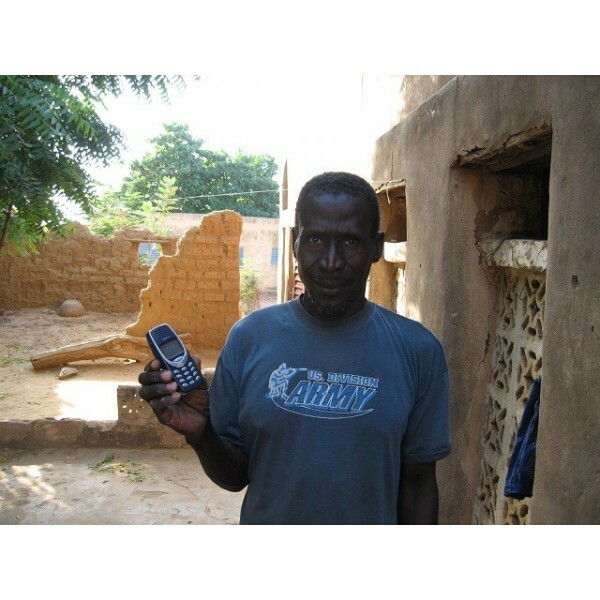 Wherever you are, in town or in the village, you can charge your mobile phone thanks to the solar energy. You remain thus reachable and can call up at any time. Just expose the solar panel to the sun to start charging the telephone. 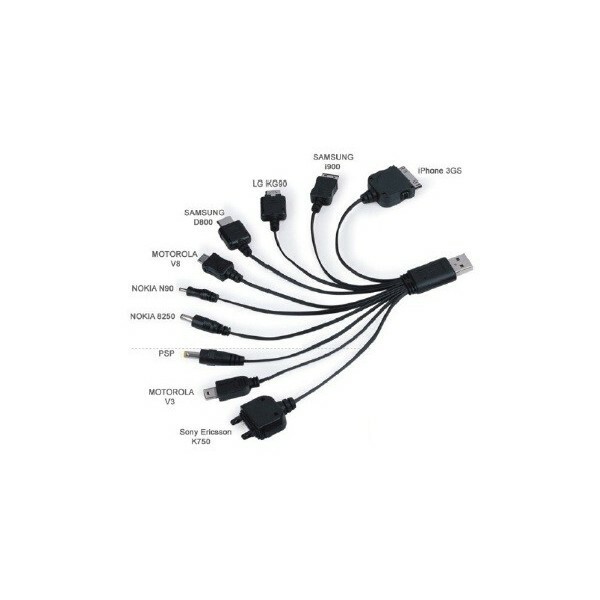 Thanks to the choice of 10 different jacks, you will find certainly yours. 2 to 3 hours of sun are enough for charging most of the telephones. 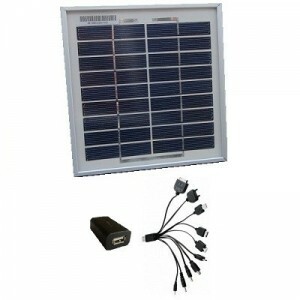 With your solar charger for mobile phones, you can suggest charging mobile phones around you. 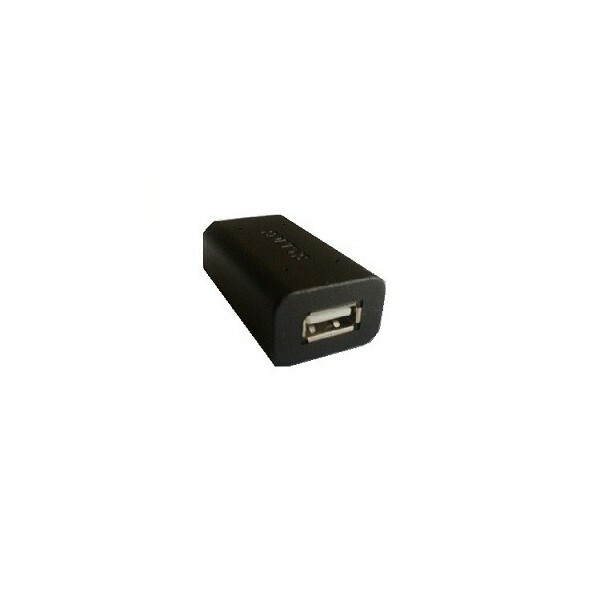 Especially in remote sites where it is necessary to make several kilometers to find a power socket. 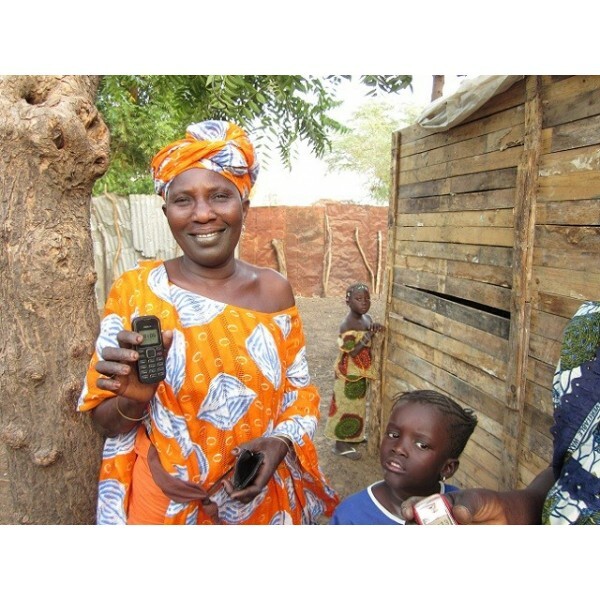 You so reload several telephones a day and start earning money. 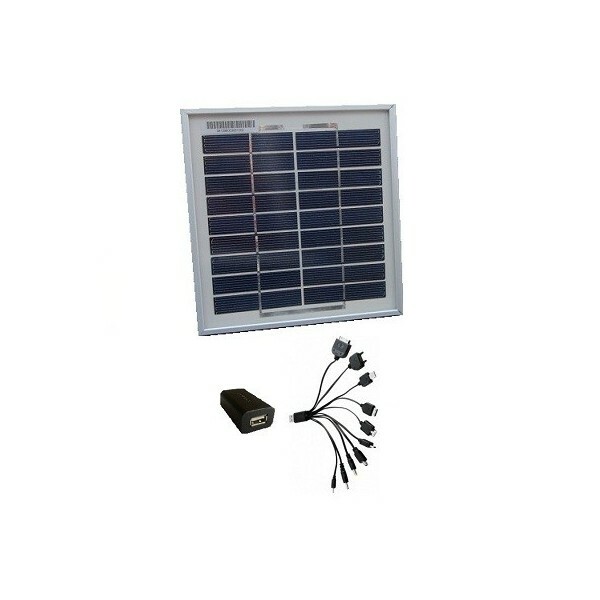 Cristaline solar panel 3W 6V (20x19cm 0,5kg) with cable 3,5m. 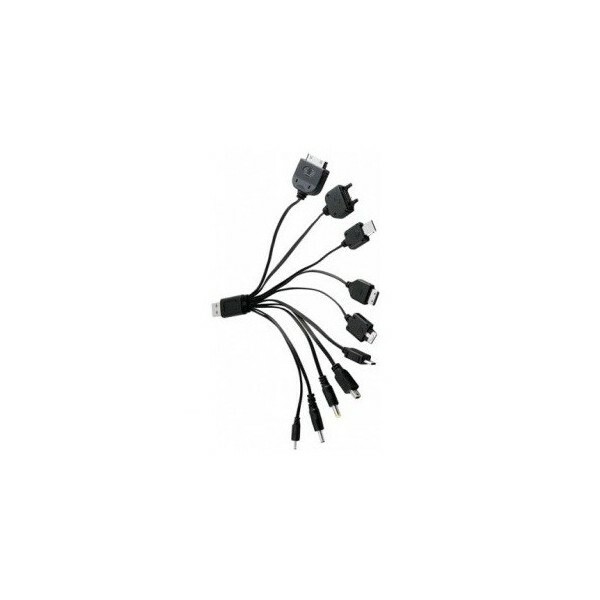 USB cable with 10 jacks for mobile phones. Do not charge I-Phone. Average charging time : 3h of sun for 1 to 2 phones.